Trying to get members of older and younger generations in America to overcome their differences and bond over classic car restoration – that’s the mission of Rebuilding Generations. The group’s website says that they “want to help bridge the gap between the young and older generations and the respect they have for one another,” by bringing younger and older men together to work on automotive car restoration projects. Now, the latest car to come out of Rebuilding Generations – a 1965 Ford Mustang GT restomod named “Sarge” – is heading to the 2016 SEMA Show in Las Vegas. 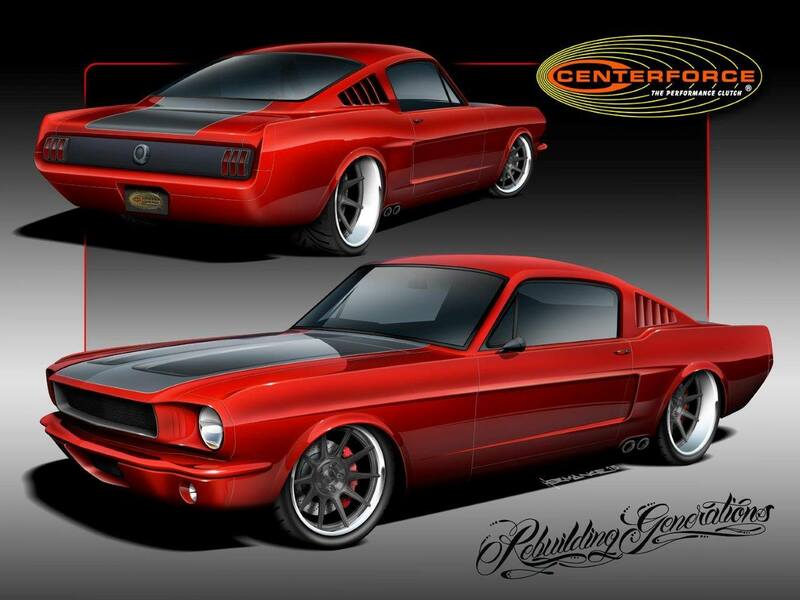 Centerforce Clutches, a major partner on the project, revealed via its website that this vintage Mustang fastback will be powered by a contemporary 5.0-liter Coyote V8, paired to a 6-speed Tremec manual transmission. Countless other sponsors – including Ford Performance, Optima Batteries, K&N Engineering, and TKO Clamping Systems – have contributed parts and materials to the build. Assuming the build has gone according to plan, the Centerforce Clutches 1965 Ford Mustang GT “Sarge” by Rebuilding Generations will debut at the SEMA Show later this week at the Optima booth. UFC Heavyweight champ Josh Barnett and NHRA Funny Car driver Jack Beckman will be on hand for the unveil. Stay tuned for all the latest Ford-related news out of SEMA 2016.